Family is the theme at Port Washington for us and our staff. Me and my son Kris to start with. Then we have numerous sets of fathers and sons working or coaching here, along with a few that have "retired". We have mothers and daughters, too. Phil and Matt. Mark SR and Jr. Larry and Derek. Lilah and Jake. Sharon and Tate, Dan and Suzanne... It's been that way since the rink first came under my control back in 1994. I've been at Port Washington since then, running the business and then taking over ownership in 2006. It's a little odd since I was never a skater. Kris, however has skated since he was very young - before he was 3 - usually with his brother and me. Sometimes it was just for a couple of trips around the rink and a hot chocolate . He's skated a lot more since then and has coached at Port Washington since he was 16. Kris has worked with me at Port for the past 10 years and is the gear that keeps the wheels here turning..
Our job here at Port Washington is two fold. 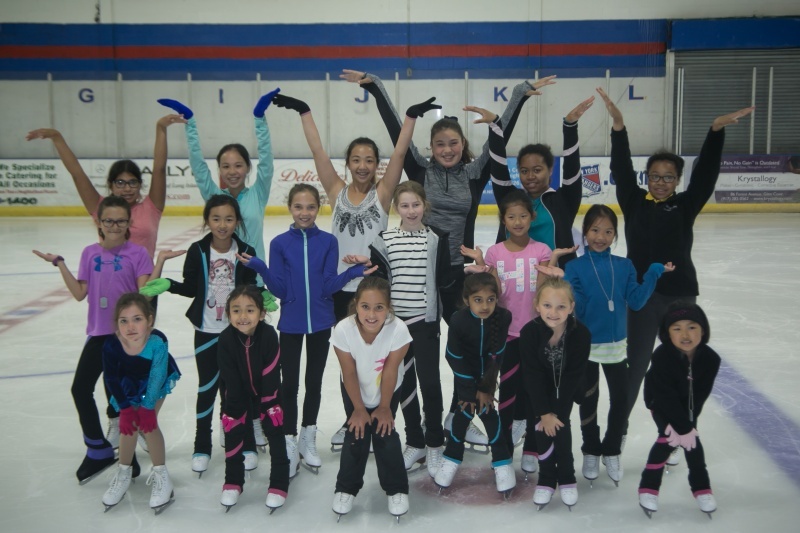 We create memories on ice - good memories of wins (and even losses), and of performances in recitals and competitions. We also create enduring bonds - links between members of families, between players and coaches, between players and their friends and teammates. In the course of doing our job we have also given many the spark and encouragement that helped them to become very good athletes -- and more importantly -- helped them become very good citizens. We have had our teams play at MSG, Nassau Coliseum and Barclays and have sent teams to State and National Tournaments. Not too bad for a small, neighborly sort of place. We hope you have the opportunity to come in and join in the fun and excitement of skating and hockey. We hope you will stay with us for as long as you can , and leave with the memories of good times shared.